Rumours have been circulating this week surrounding Alfa Romeo and the possible revival of the Alfa Romeo 8C. 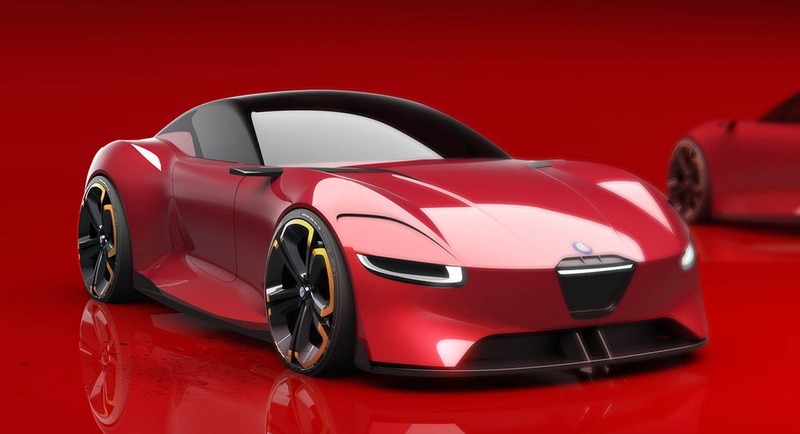 The badge was last used on Alfa Romeo’s 2 seater, front-engine supercar more than a decade ago, it looks set to return in 2021. The news is nothing new as in June earlier this year, it was widely reported that the late Sergio Marchionne had given the green light to the project as part of the company’s future product strategy. Marchionne’s vision for the company was to offer two ‘specialty’ sector cars, a new Alfa Romeo 8C and a larger, Coupe style GTV. The latest set of rumours emanate from Car Magazine’s cover story which allegedly dishes the dirt on the development of the project. The 2021 Alfa Romeo 8C will almost certainly be a two seater with a mid-mounted engine. It will be based around a carbon monocoque with the familiar 2.9 litre twin-turbocharged V6 providing power together with an electronic motor. The drivetrain is expected to be shared by the long-delayed Maserati Alfieri. Car Magazine suggest that the 600 hp petrol drive train and 150 Kw electric motor could generate power of around 800 hp. The design team are said to be targeting a sub-three second 100 km/h sprint with a special E-boost system to achieve those figures. The 8C will undoubtedly receive four wheel drive with technical systems such as torque vectoring and advanced traction control. The 2021 Alfa Romeo 8C will almost certainly be a limited production model, the last 8C was available with 500 coupes and 500 convertibles. Alfa Romeo will probably expect to sell more this time around, expect no more than 1,000 copies to become available. The Alfa Romeo 8C makes sense for Fiat Chrysler these days. With Ferrari generating a huge amount of revenue for the group and with access to the legendary Italian company’s expertise, it shouldn’t prove too difficult to manufacture an ‘entry level’ supercar for Alfa Romeo. Hopefully it doesn’t end up like the Alfa Romeo 4C. Our above renders were carried out by Yung Presciutti. The Car Magazine article linked above also includes some pretty interesting renders which combine elements of the Alfa Romeo 4C with the Ferrari 488 and LaFerrari!